Guy was born in Mount Gambier and brought up in Coleraine. He attended school in Coleraine and Hamilton, and in his first year out of school travelled to Mt Isa to work on a catte station which covered 2.5 million acres. In his third year out of school Guy began a Rural Farm Business Management degree at Marcus Oldham. Through this study he had the opportunity to complete a practical year in WA where he worked on a sheep and cropping property. After obtaining his degree Guy secured a job as a Fund Manager for an American pension fund and progressed to be the Asset and Acquisition manager back in WA. 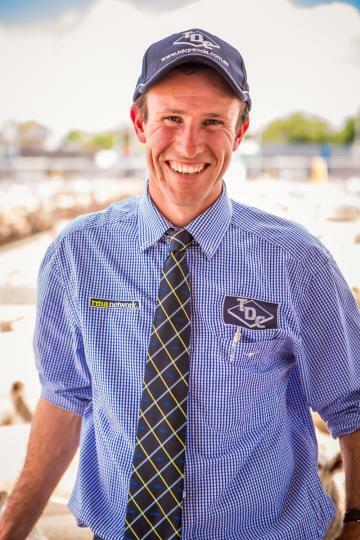 After a few years, he moved back to the Victorian Western Districts on a farm and joined TDC in 2014. Guy primarily services the Western District area and was awarded as a Top 100 Auctions Plus assessor in 2018. Guy loves his sport (footy, tennis and more recently motorbike riding) and loves hanging out with his young family!